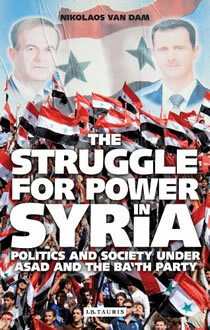 During the past three decades The Struggle for Power in Syria has not only been intensively used as an academic textbook in universities all over the world, its newest fully updated fourth edition (2011) also reaches a much wider readership because of its practical value in helping understand in depth the political and social developments in today's Syria, including the question of why the Alawi-dominated Ba'th regime has succeeded to staying in power for almost half a century. Although the book is forbidden in Syria, its Arabic edition has been widely circulated there in the form of illegal copies and through an authorised Arabic internet version. Within its first few months the new English edition had to be reprinted already twice. Undoubtedly the current situation in Syria had to do with that. Demonstrations against the Syrian Ba'th regime have continued for over half a year now. It is a miracle that they have generally remained so peaceful, taking into account the severe repression and atrocities committed by the regime against the peaceful demonstrators, their families and regions. In the past such atrocities were not that visible, but today everyone can witness them through media like facebook, youtube and television channels such as Al Jazeera. They show graphic pictures which one day or another are bound to lead to further serious counter violence. When taking into account the relatively high ratio of regime victims as compared to the numbers of opposition victims, there must already have been a substantial amount of armed anti-regime violence during earlier stages of this revolution, probably committed from the "side lines" by Salafists and others, branded by the regime as "armed gangs". But in general the anti-regime demonstrations clearly have had a non-violent character and the reaction of the regime to them has been disproportionate in every sense. At the beginning the demonstrators just asked for freedom and peacefulness. It was only after being confronted with additional bloody suppression by the regime's military and security forces that protestors started calling for the toppling of the regime, for the departure of the president and even for his execution. Countries like Turkey have made serious efforts to help bring violence to an end, to establish a Syrian national dialogue, and to mediate the start of serious reform measures, but all to no avail. Without having tried out such serious dialogue first, the United States of America, the European Union and other countries imposed various sanctions. But these, for the time being, did not achieve any positive results either. Regime violence, intimidation and suppression just increased. Whereas sanctions in themselves may not lead to the fall of the regime, they may indirectly stimulate others to bring its downfall nearer. Giving a time frame is extremely difficult, however. It may just as well take a long period. President Bashar al-Asad at an earlier stage announced the initiation of several reform measures, but since these were accompanied by an unabated continuation, and even increase of violence, torture and severe repression, his initiatives and announced steps were not, and could not be taken seriously by the opposition. Were the demonstrators so naïve as to expect the regime to really make any drastic political reforms leading to a more democratic political system and to freedom of expression? Did they really believe that the regime would peacefully give in to their demands, or even that peaceful demonstrations could cause its fall? It would be an insult to consider the courageous demonstrators naïve. Moreover, given the circumstances, they did not have much of an alternative to demonstrating peacefully. Violent efforts to oppose the regime are bound to lead to even more violence between the two completely unequally equipped sides. The demonstrators may not have had any well contemplated plan or strategy at the beginning, and many still may not have one yet. It was rather a spontaneous reaction to the violence and repressive actions of the regime, first in Deraa province, and later elsewhere, all over Syria. Syrian demonstrators were clearly inspired by developments and demonstrations in other countries like, for instance, Tunisia and Egypt, even if these had and have not yet provided the coveted results. They simply wanted to get rid of the Ba'thist dictatorship which has existed for almost half a century. The youth-and older people as well-were fed up with always living under dictatorship, having no freedom of expression, and, most particularly, not having any prospects for positive change in their often miserable life. Particularly those who only had read or heard about the regime's violence and repression, but had not experienced it themselves at first hand, were under the perceived new circumstances prepared to take immense risks, without having the slightest guarantee of success. But amongst the demonstrators there were also well-known personalities who had earlier been imprisoned by the Ba'th regime. Syria has known various dictatorships before the Ba'th regime came to power, and periods of democracy or relative freedom have been scarce. The great majority of Syrians alive today have known nothing other than dictatorship in their country. Their lack of democratic experience does not mean, however, that they would not have the capacity to build up a new democratic society. On the other hand, there are various forces present in the country which have their own political agendas and would not necessarily show any respect for democracy, once in power. It may, for the time being, simply be a matter of who is physically the strongest and best organized. The present regime may be only brought down by counter force. This counter force is bound to have been inspired and triggered by the peaceful demonstrations and particularly by their bloody suppression. In fact, counter violence is already gradually spreading. A military coup by Alawi officers from within, in cooperation with dissident military from other communities, would be extremely risky, but could nevertheless be an option. Another, much more bloody and destructive scenario could be a sectarian tinted civil war with unclear results. Nobody really wants it, but it may turn out to be inevitable to get entangled in the dangerous sectarian trap. In The Struggle for Power in Syria I have argued that even in the period long before the start of the 2011 demonstrations it appeared to be very difficult to imagine a scenario in which the present narrowly based, totalitarian regime, dominated by members of the Alawi minority, who traditionally have been discriminated against by the Sunni majority, and who themselves on various earlier occasions severely repressed part of the Sunni population, could be peacefully transformed into a more widely based democracy, involving the greater part of the Sunni majority. A transformation from Alawi-dominated dictatorship to democracy in Syria would imply that present repressive institutions would have to be dismantled, and that the regime would have to give up its privileged positions. As the Sunni majority in general has apparently not given up its prejudice and traditional negative attitude towards Alawi religion and Alawis in general -it might even be argued that Sunni grudges against Alawis have only increased as a result of Alawi-dominated dictatorship, all the more so as Alawis are disproportionally highly represented in the repressive apparatus, including the Alawi elite military troops and Shabiha gangs-it seems only logical to expect that the presently privileged Alawi rulers cannot count on much understanding from a more democratic (or less dictatorial, or perhaps even more repressive) regime which would for instance be dominated by members of the Sunni majority. Imaginable scenarios such as these make it all the more unlikely that the Alawi-dominated Ba'th regime will, without severe resistance, give up its present positions in favour of a more democratic regime which in the end- due partly to lack of any long-term democratic tradition in Syria-might turn into a Sunni or other kind of (possibly regional/minoritarian) dictatorship, members of which might wish to take revenge against their former Alawi rulers and oppressors. Continuing forms of sectarian prejudice and discrimination have, during various critical stages of Syrian modern history, led to sectarian polarisation, repression, and violent confrontation between Alawis and non-Alawis, irrespective of the fact that Syria has never been ruled by 'the Alawi community' as such. Many Alawis have themselves been suffering from Alawi-dominated Ba'thist dictatorship, often just as much as, or occasionally even more than, non-Alawis. Many Alawis, including many of the regime's initial opponents, might nevertheless feel forced to cluster together for self-preservation if they would be given the impression, whether justified or not, of being threatened by the Sunni majority. Even if president Bashar al-Asad would have seriously contemplated drastic political reform of Syria's political system, his dilemma would always have been that such reform would in the end lead to his own regime's downfall. As the president and his military and security entourage are responsible for the committed violence and crimes against humanity in Syria, not only during this year of demonstrations, but also in the many years preceding it, they could - in the Syrian context - only expect to be court martialled and executed. Within such circumstances it would be unrealistic to expect the president and those around him to voluntarily step down. Bashar al-Asad is not going to sign his own death warrant. A scenario of reconciliation South African style does not seem to be possible. 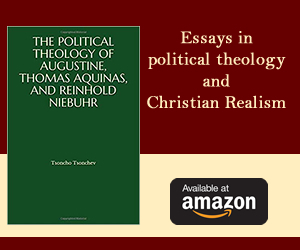 The continuation of the present dictatorship for an indefinite period in ever more difficult circumstances for both the regime and the population is a possibility. Bringing the regime down violently logically speaking seems to be the only remaining alternative, albeit that the opposition presently does not yet have sufficient power to do so, except if it would receive support from within the regime itself. One thing is sure: the Syrian opposition does not want its many victims to have been in vain. Dr Nikolaos van Dam is a specialist on Syria. He has served as Ambassador of the Netherlands to Indonesia, Germany, Turkey, Egypt and Iraq, as well as in Libya and Lebanon. Most of his works can be found through www.nikolaosvandam.com.